My daughter has recently become very interested in everything there is to learn about dinosaurs. We've been reading all kinds of books about dinosaurs and watching television shows and movies. 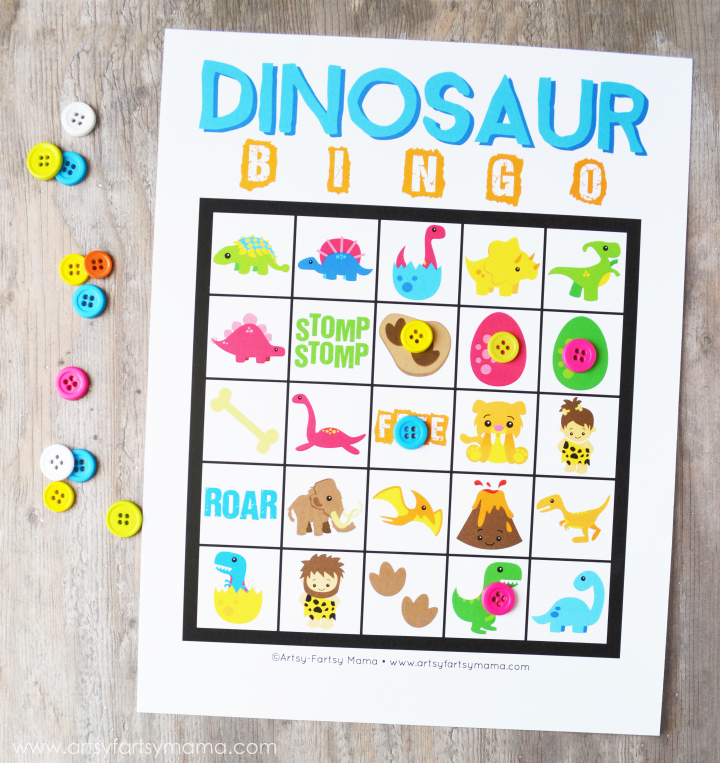 For those of you that are also dinosaur fans, I've put together a FREE printable dinosaur bingo! Each dinosaur bingo card includes 24 images of dinosaurs and prehistoric objects and words. 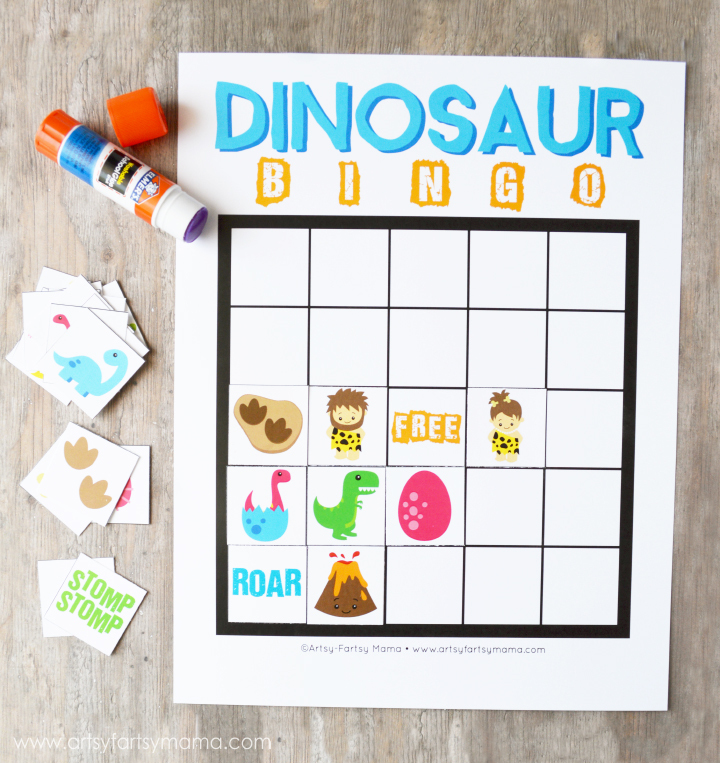 Kids of any age can play bingo, and this set will be great for dinosaur-themed parties (or just for fun), and is a fun way to teach your child some dinosaur-themed vocabulary! This is so fun! My nieces would absolutely love this! That would be perfect for a dinosaur birthday party - super cute! Thanks for sharing this. I used it as one of the games for my 6 year old dinosaur-lover's birthday party, and the kids all had a blast! Just printed these for my daughter's dinosaur birthday party tomorrow! Thanks so much for sharing! !